This is one of two conversations which Gudrun Thäter recorded alongside the conference Women in PDEs which took place at our Department in Karlsruhe on 27-28 April 2017. Maria Lopez-Fernandez from the University La Sapienza in Rome was one of the seven invited speakers. She got her university degree at the University of Valladolid in Spain and worked as an academic researcher in Madrid and at the University of Zürich. Her field of research is numerical analyis and in particular the robust and efficient approximation of convolutions. The conversation is mainly focussed on its applications to wave scattering problems. The important questions for the numerical tools are: Consistency, stability and convergence analysis. The methods proposed by Maria are Convolution Quadrature type methods for the time discretization coupled with the boundary integral methods for the spatial discretization. Convolution Quadrature methods are based on Laplace transformation and numerical integration. They were initially mostly developed for parabolic problems and are now adapted to serve in the context of (hyperbolic) wave equations. Convolution quadrature methods introduce artificial dissipation in the computation, which stabilzes the numerics. However it would be physically more meaningful to work instead with schemes which conserve mass. adaptivity in time and space. The motivational example for her talk was the observation of severe acoustic problems inside a new building at the University of Zürich. Any conversation in the atrium made a lot of noise and if someone was speaking loud it was hard to understand by the others. An improvement was provided by specialised engineers who installed absorbing panels. From the mathematical point of view this is an nice application of the modelling and numerics of wave scattering problems. Of course, it would make a lot of sense to simulate the acoustic situation for such spaces before building them - if stable fast software for the distribution of acoustic pressure or the transport of signals was available. The mathematical challenges are high computational costs, high storage requirements and and stability problems. Due to the nonlocal nature of the equations it is also really hard to make the calculations in parallel to run faster. In addition time-adaptive methods for these types of problems were missing completely in the mathematical literature. In creating them one has to control the numerical errors with the help of a priori and a posteriori estimates which due to Maria's and others work during the last years is in principle known now but still very complicated. Also one easily runs into stability problems when changing the time step size. The acoustic pressure distribution for the new building in Zürich has been sucessfully simulated by co-workers in Zürich and Graz by using these results together with knowledge about the sound-source and deriving heuristic measures from that in order to find a sequence of time steps which keeps the problem stable and adapt to the computations effectively. There is a lot of hope to improve the performance of these tools by representing the required boundary element matrices by approximations with much sparser matrices. T. Arens: Lärmschutz, Gespräch mit S. Ritterbusch im Modellansatz Podcast, Folge 16, Fakultät für Mathematik, Karlsruher Institut für Technologie (KIT), 2014. 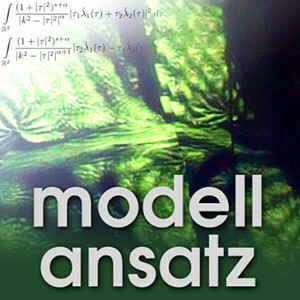 F. Sayas: Acoustic Scattering, Conversation with G. Thäter in the Modellansatz Podcast, Episode 58, Department of Mathematics, Karlsruhe Institute of Technology (KIT), 2016.